AIBE 13 Registration 2019 has started from September 26, 2018. 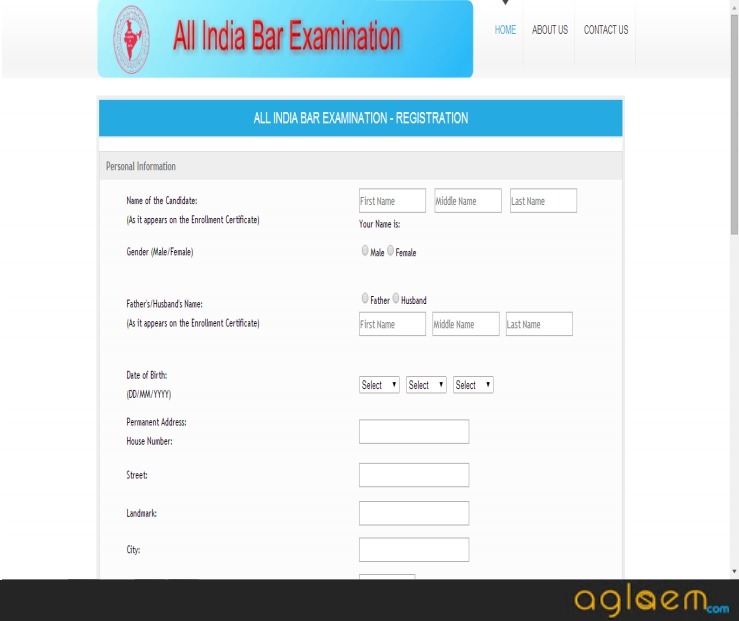 Candidates who want to appear in All India Bar Examination must fill and submit AIBE 2019 application form as per schedule. The application fee is likely to be Rs 3560 for general / OBC applicants, and Rs 2560 for SC/ST applicants. 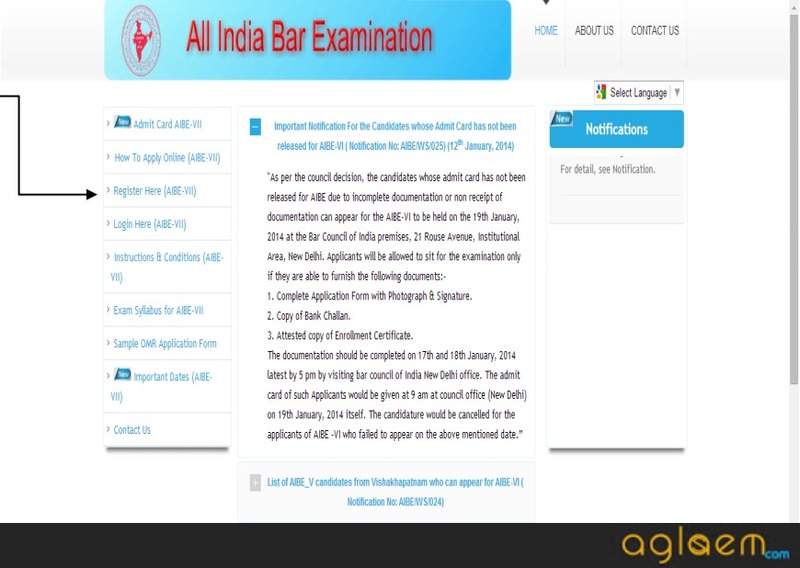 AIBE is conducted by Bar Council of India to determine the eligibility of advocates for Certificate Of Practice. Candidates must check eligibility criteria before applying. 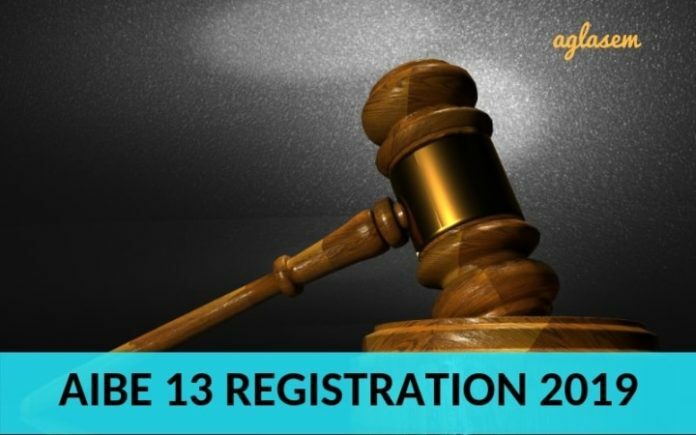 Get here complete details of AIBE 13 Registration 2019 including start date, last date, fees, how to apply, documents to upload, eligibility, and other related information. Latest: The last date of payment of AIBE 13 is extended till December 15, 2018. Payment can be done is any SBI counter. Date of availability of AIBE 2019 Registration for AIBE XIII (13) and other dates related to it are as per the decision of BCI. Candidates can check all dates from the table below. 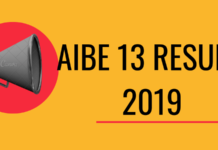 Applicants have to upload following documents in AIBE 13 Registration 2019. 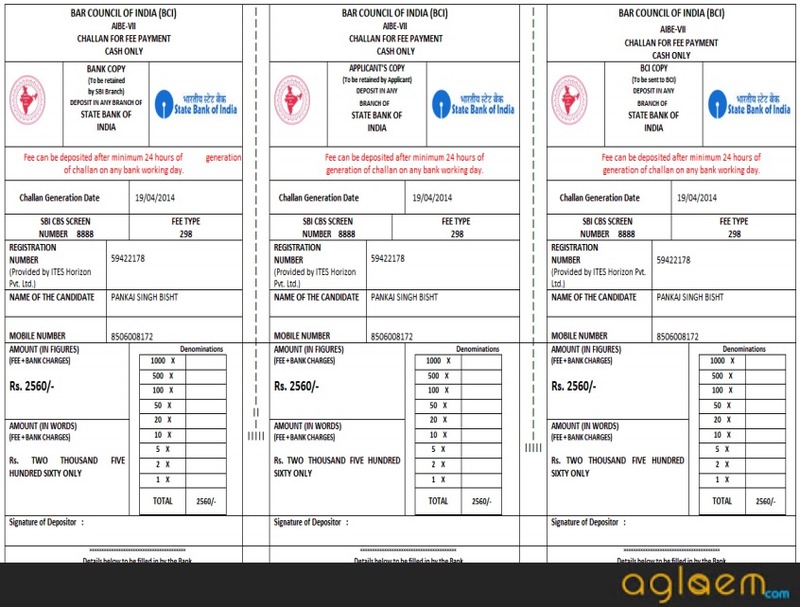 How To Fill AIBE 13 Registration Form 2019? Process to fill and submit registration form of AIBE 2019 shall be simple and adaptive. Candidates can read step by step guide to apply below to be familiar with form filling even before they proceed to apply. Step 7: This opens your filled in form. There will also be a print challan button, click it. Step 8: Print challan in triplicate. Step 9: Go to nearest bank branch after 24 hours of registration. Submit bank copy of challan. Step 10: Pay fee. 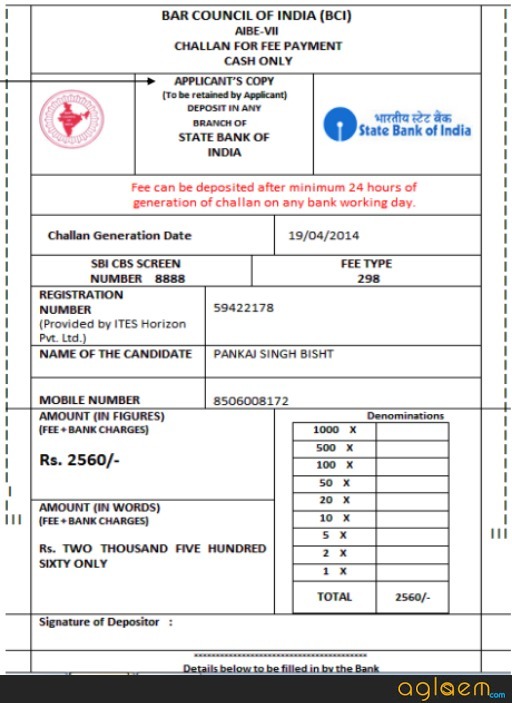 Retain signed candidate challan copy. 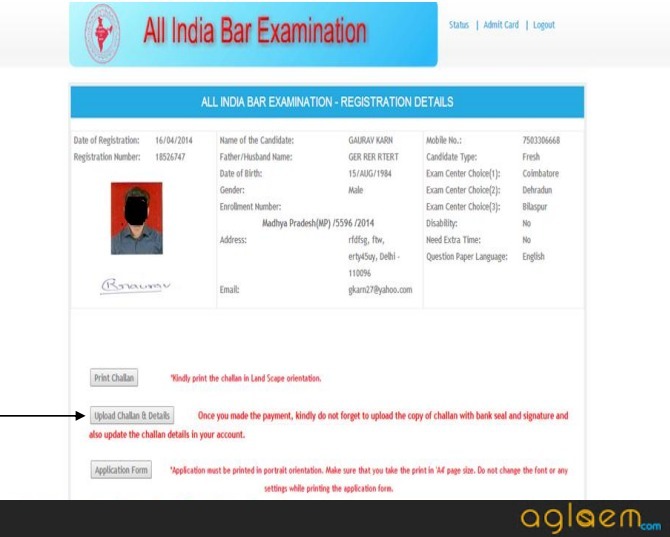 Step 11: 24 Hours after that, go to allindiabarexamination.com account again. Now login. Step 12: Click upload challan and details button. Step 13: Upload challan copy. Then enter journal number, SBI branch code, date of receipt. Step 14: Submit and then go back and click on application form button. Step 15: Print a copy of it. 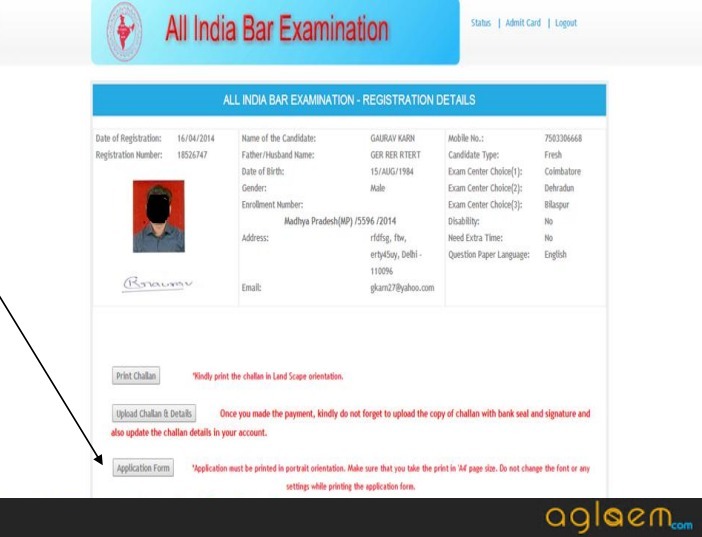 Check that all details like photograph, signature, data are correct in AIBE 2019 Application Form. If there is any issue, contact Bar Council of India. 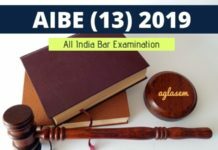 Who Is Eligible For AIBE XIII 2019? 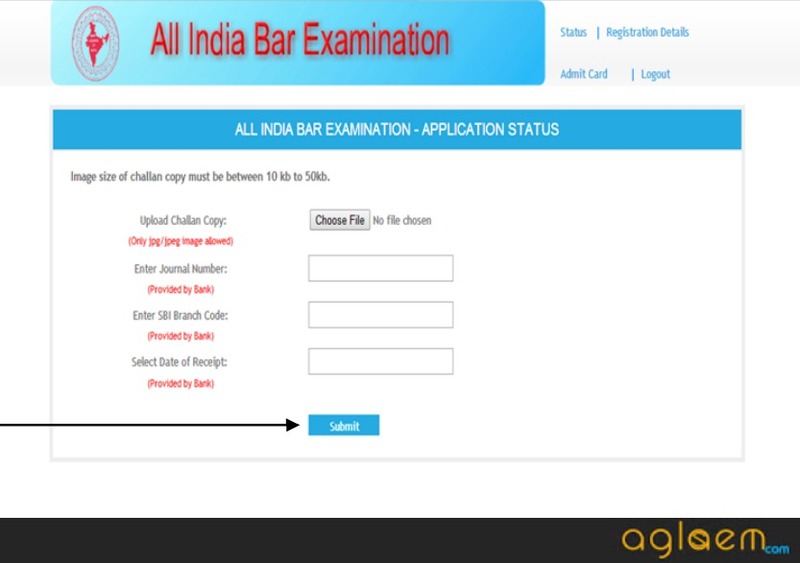 An advocate who has graduated after 1st July 2010 can appear in All India Bar Examination. He/she can appear as many number of times as it is required to clear it. Important facts to know about eligibility criteria are as follows. Educational Qualification: Candidates must have completed LLB degree from a recognized institute. State Bar Council Registration: Candidates must be enrolled with State Bar Council. 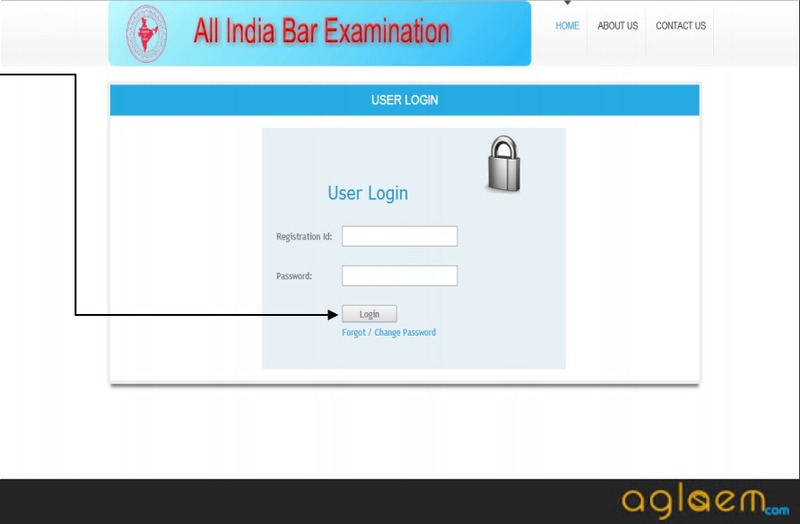 Attempts: Candidates can appear as many number of times as they need to qualify exam. This is irrespective of him/her being enrolled for more than 2 years as an advocate on state bar council. Candidates who are filling AIBE 2019 Application Form should adhere to important instructions given below. All the documents that you upload should be self attested. Candidates are strongly advised to ensure that they fill correct and verifiable details in form. They must enter correct and working email ID and phone number as they will be used by BCI for communication. There is no need to send any document by post. Candidates must however keep a copy of application form printout for future reference. 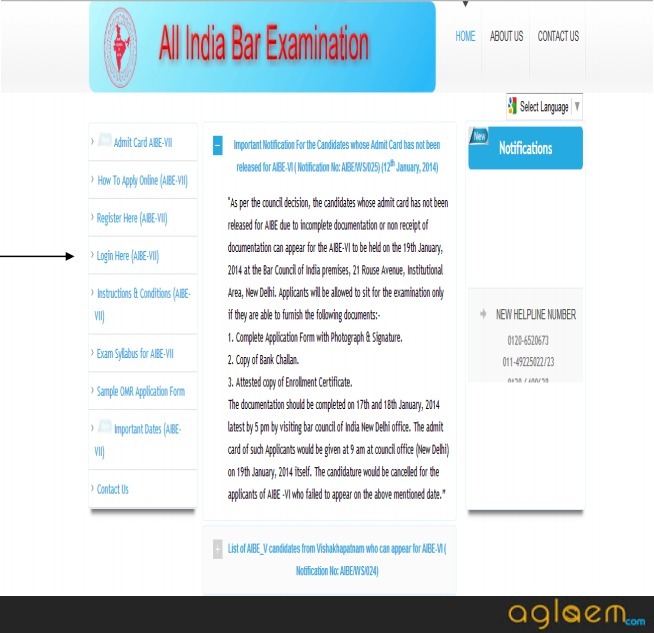 Fee once submitted for AIBE exam is non refundable. If there is any error in application form then usually BCI allows form correction by asking candidates to send details to be rectified to an email ID (which was [email protected] last year). 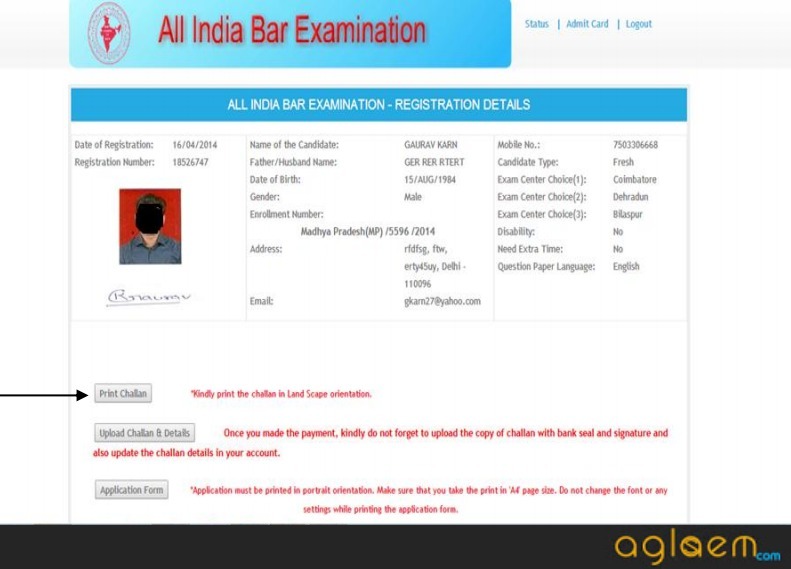 Further BCI mentioned among instructions that if candidates send rectification requests after release of admit card, then any inconvenience that follows shall be responsibility of candidate. It is, therefore in best interests of candidate to enter correct details during registration only. Only those who fill and submit AIBE 13 Registration Form 2019 can download admit card when the time comes. If you have any queries regarding application form, please ask in comments below. 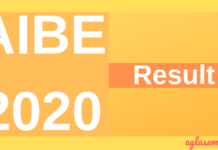 AIBE 2020 Result – Check Here! Request for correction of name Registration For AIBE XIII. 15 December is the last date to edit your form..so can try after logging in..and change.